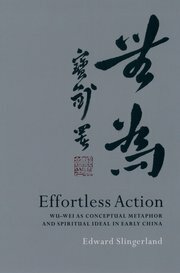 In his book Effortless Action, Edward Slingerland delves into a deep paradox found in the work of ancient Chinese philosophers. Wu-wei, which can be translated as either non-action or effortless action, is a state of freedom, flexibility and spontaneity acquired through the practice of living a good life. It is identified with life and the cosmos, and can be called the skill of living well, the skill of all skills. While it can be found once in the Analects of Confucius and then later in the Confucian works of Mencius and Xunzi, it is most prominent in the Daoist works of Laozi and Zhuangzi. Some philosophers, such as the Daoists, say that it is our original state, that which we had before we were born and early as children. Others, such as Xunzi, say that it is opposite our original state, which we did not have at all when we were immature, and is only acquired through study and practice. This presents us with a paradox: How can we try not to try? 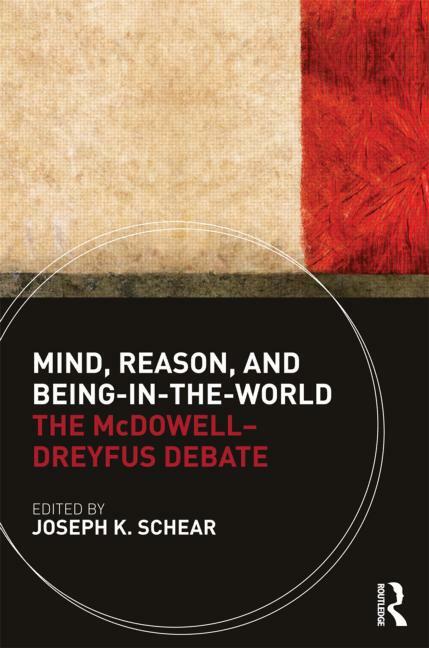 Heidegger was familiar with the works of the Daoists, and it is possible to answer this paradox in a Heideggerian way, relevant to the Dreyfus-McDowell debate about the interrelation of thought and action. When we are first performing an action, we must think as we act and are clumsy in acting, but after we acquire a skill it becomes second nature and does not require the effort of thinking or being clumsy. I discussed this in a previous post about Chuck Knoblauch over-thinking while throwing to first base. Zhuangzi, my favorite Chinese philosopher, illustrates this in the story of Butcher Ding, who learns over the years to trust his actions without thinking and impresses the emperor. If one practices living life well, at first it is difficult, but after good habits become ingrained it becomes easy and effortless. Thus, one can become effortless through effort over time, and the paradox is resolved. This is similar to the forking paths of Pythagoras, the ancient Greek philosopher who taught that the left-hand path of pleasure is easy but it leads to destruction, while the right-hand path of effort is hard but it leads to wisdom, happiness and tranquility. The problem is that bad habits are as easy, if not easier, to obtain as good habits, and so we must make the effort to choose what will become effortless.